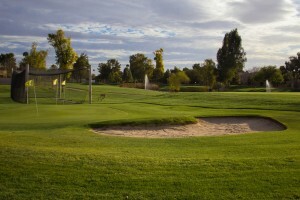 Royal Palms Golf Course has a fun and challenging Links style 9-hole layout that will bring satisfaction to every player. 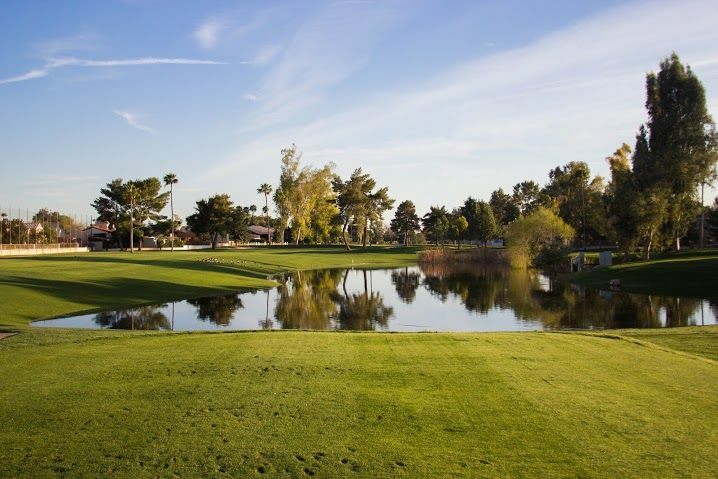 There are three Par-4′s and six Par-3′s with water and bunkers on 6 of the 9 holes. With a Par of 30, low scores aren’t as common as one would think because of the narrow fairways and water hazards. 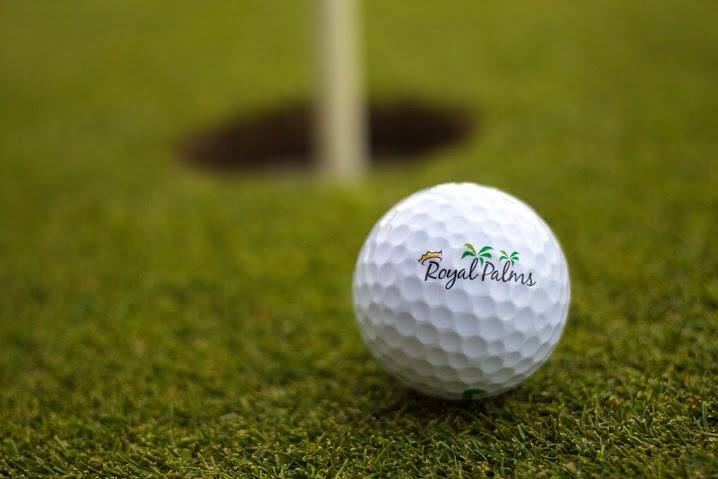 Royal Palms will challenge even the most skilled player which in turn provides a great golf experience. This course is a perfect place for beginners and family members to come out and enjoy themselves. 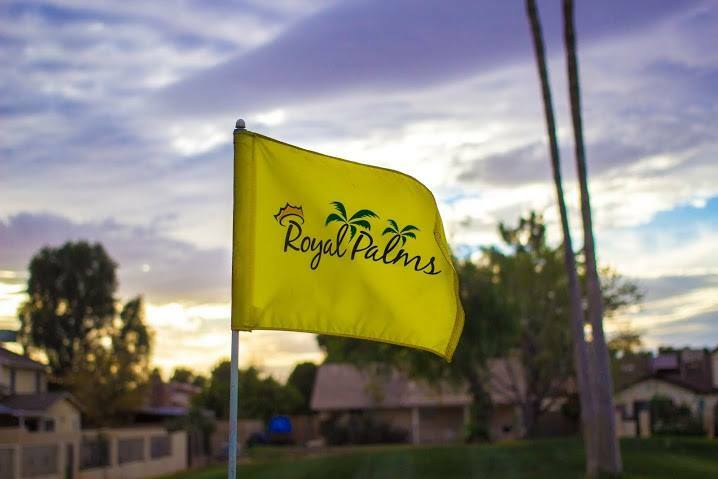 Royal Palms Golf Course is a family owned, family run business. It was built in the early 70′s as one of the many projects of the Royal Palms area development here in Mesa, AZ. Initially, the land had to be used as a retention area or “run off” for the surrounding houses and neighborhoods. The city would not allow houses to be built and advised to put in a neighborhood park. 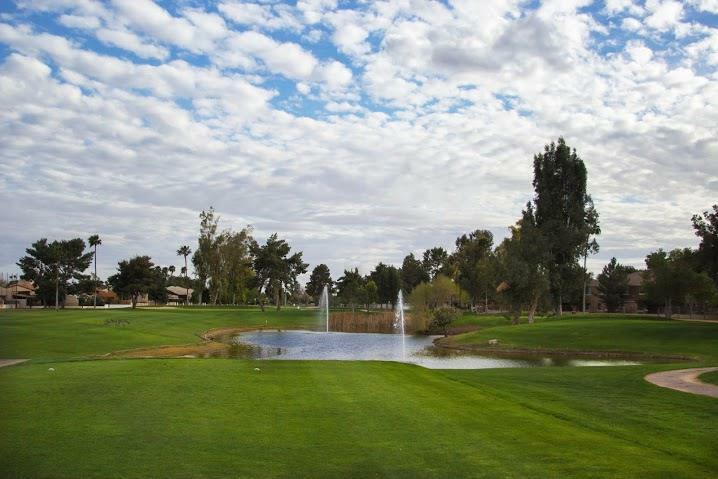 The owner had a better idea and with a few tractors, hard work, and dedication we have had Royal Palms Golf Course in the Valley of the Sun for over 40 years.